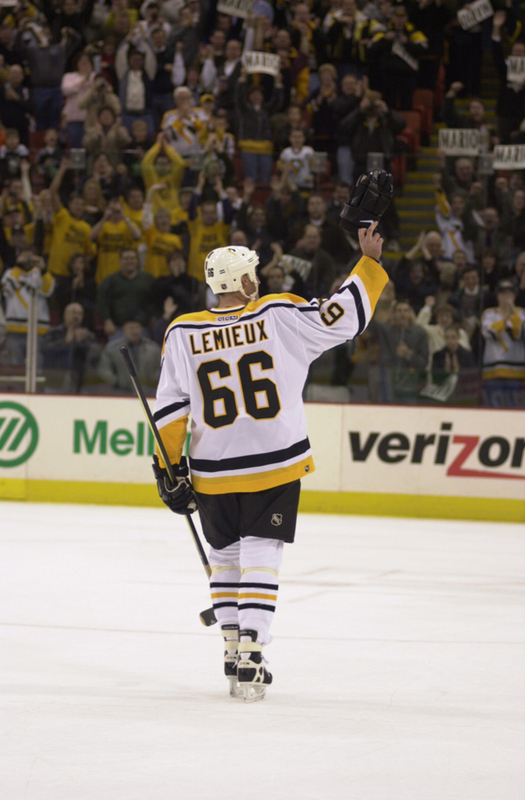 Home friday flashback Mario Lemieux Friday Flashback: Mario... is... BACK! Summer gives us time to look back and reflect on the hockey season. It gives us time to remember years gone by. It's time to go back and remember some of the most memorable moments in team history. This week it's Mario's return from retirement December 27th, 2000. The word slowly leaked out in December. Mario was in the best shape of his life and had been skating with a trainer. The whispers were that he was coming back but in the pre-internet age it was hard to really confirm this. Slowly the news built before the press conference. Mario was ending his retirement to play for (literally) his Penguins. It was a move born as much of a desire to improve ticket sales as a desire to play and have his son, Austin, see him play. Finally the night came and he did not disappoint. Assisting on a Jaromir Jagr goal early in the game, he would compile one goal and two assists, looking to never have missed a beat in his return that lived up to every bit of the hype. His return would vault the Penguins all the way in to a cinderella Eastern Conference Finals bid before losing to the New Jersey Devils. He would stay around for several more years, bridging the gap between the Jagr and Crosby years.